EC&MW, manufacture’s both T Frame and A Frame style stainless steel cranes, although the A Frame model crane is not shown on our website. The T Frames style is by far the more popular design among our customers. Let’s talk about stainless steel for a moment. It is as it says “Stain Less”. You will always have some minor iron deposits at the surface. This was caused at the time the stainless steel was made. Those iron deposits, in time, will turn to rust. There are two types of stainless steel material that we have available for manufacturing. 304L or 316L . The “L” stands for low carbon. We try to use L material whenever possible/available. Without getting into a lengthy discussion regarding low carbon, it mostly has to do with the welding process. Using L material or non L material isn’t going to make any noticeable difference under most circumstances. 304: We have manufactured gantry cranes for both food and pharmaceutical industries out of this material. Although 316 is more corrosion resistance, since it has molybdenum where 304 does not. 316: Comes at a price. This material is going to be approximately 20% to 25% more expensive and the availability is going to be more limited. We have also built cranes for food, pharmaceutical and sewer treatment facilities from 316. Sewer treatment plants try to use 316 stainless whenever possible, especially in areas where heavy amounts acids and corrosive gases are present. What it really comes down to is what your particular industry standards require. For more info on 304 vs 316 stainless Steel. We handle all stainless material in the best way possible to avoid any cross contamination. When and where it’s necessary, we employ back purging welding procedures. Welding is done in combination with both mig and tig welding with 316 wire and filler rod. Passivation is performed on accessible welded areas. 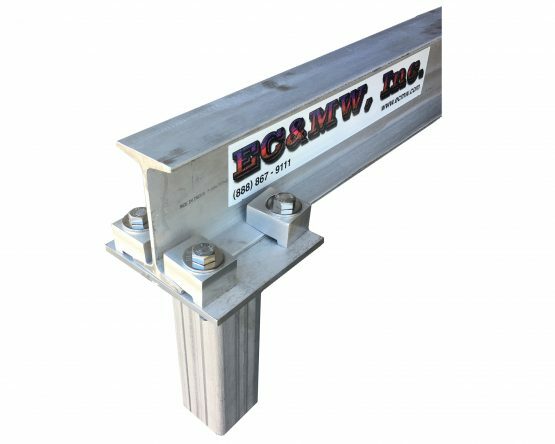 All Stainless steel gantries have in house fabricated stainless steel I beam clamps. 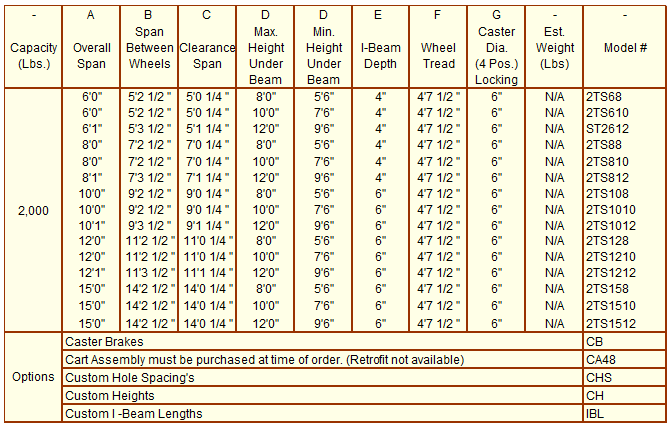 All hardware (nuts, bolts, washers, etc) are 316. Pins are 17-4PH stainless steel. Casters are 304 Kingpinless with roller bearings, 4 position locks with food grade grease on a poly wheel. Unless otherwise specified. Like all of our gantry crane systems, these too can be rolled while loaded. All stainless steel gantry cranes are crated for shipping, to avoid any cross contamination and or damages. Note: Not everything we manufacture is posted on our website for all the different models. If you don’t see exactly what you’re looking for, please do not hesitate to contact us so we can help facilitate your needs. Above gantry crane was constructed entirely 304 and 316 stainless material. It has 5 adjustable heights in 6″ increments. With 4 position locking stainless steel casters. Above shows custom machined stainless steel beam clamps with stainless steel hardware. Using I Beam clamps allows the legs to be adjustable in width. 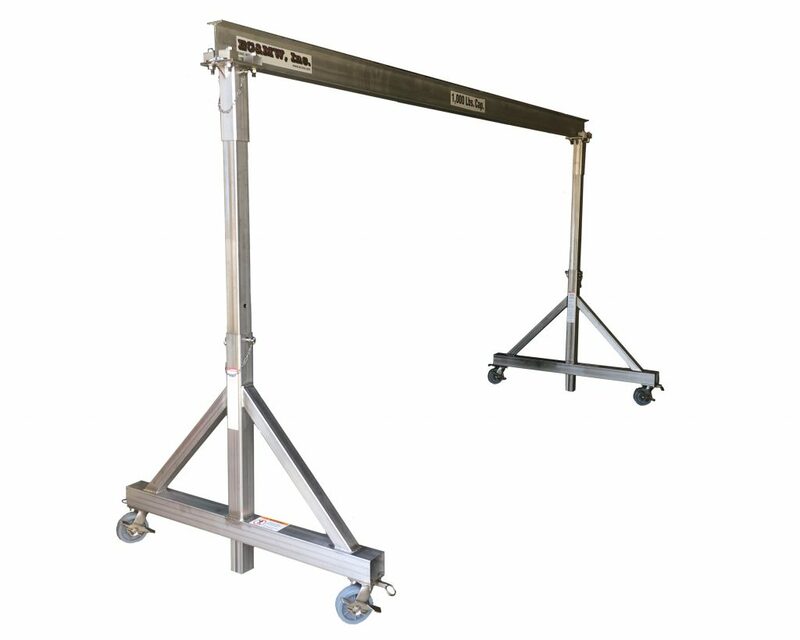 Do to the every changing availability and stainless steel prices, all Stainless Steel Gantries Cranes are priced individually. Call for pricing! 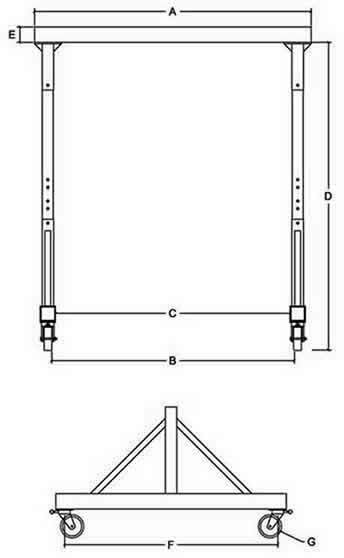 Stainless Steel A-Frame style gantries are also available, but just not shown. 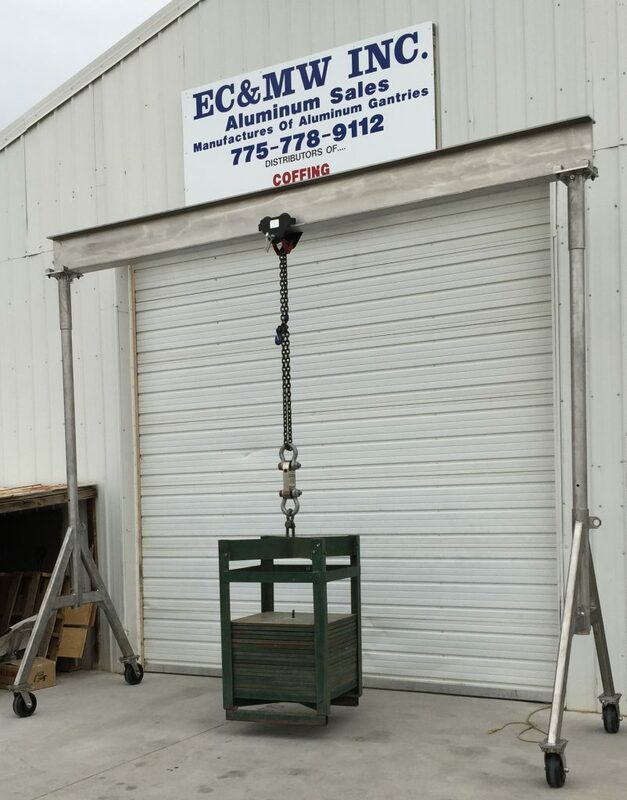 Above: This was a custom made stainless steel gantry crane with a 4,000 lb. cap. 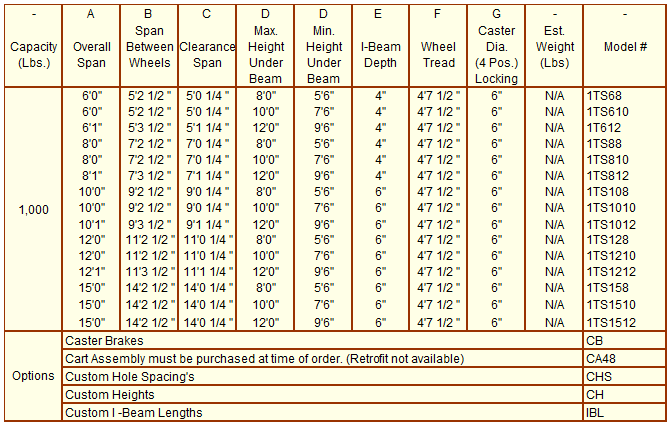 15′ beam 12′ height under beam. Completely manufactured from 316 stainless steel including custom stainless steel I-beam clamps. Labeling and gantry cleaning was done after load testing.